Organisation cubed. 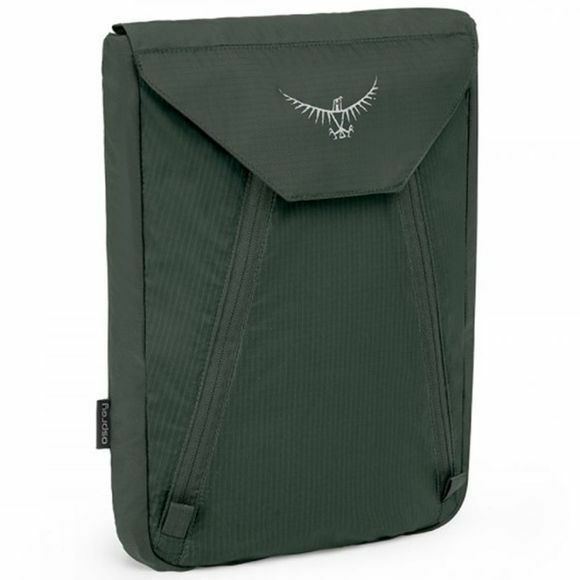 A siliconised nylon pouch designed to fit up to 7 collared shirts inside, the UL Garment Folder is a business traveller's best friend. This handy packing helper has a wide opening with Velcro and zippers to help fill it to capacity, whilst the stretch mesh on the side allows it to expand or contract depending on how full it is. The UL Garment Folder also contains a “how-to” instructional guide printed onto the folding card, which ensures you always fold to the perfect size.